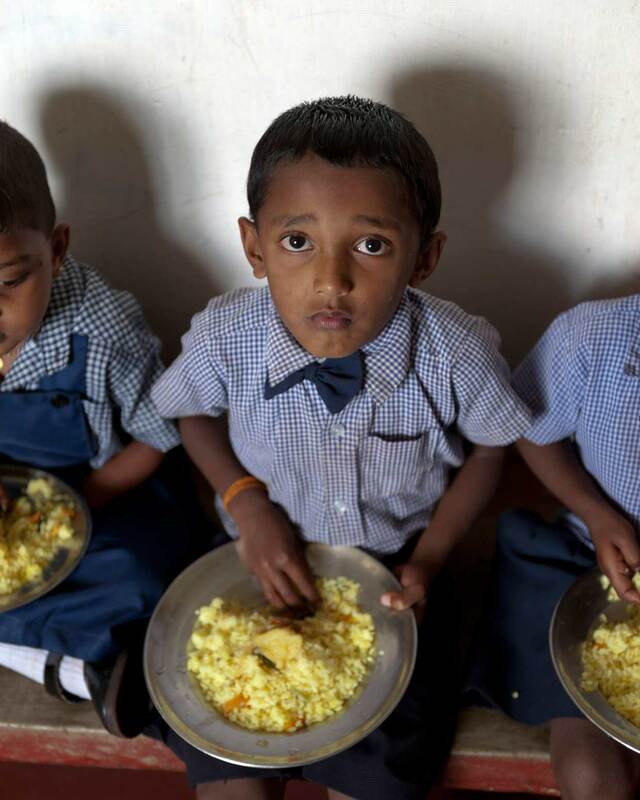 Providing a healthy and nutritious meal for young children attending one of the many plantation sector Child Development Centres. An initiative of the MJF Charitable Foundation in the Kataboola Estate, Nawalapitiya, January 2012. 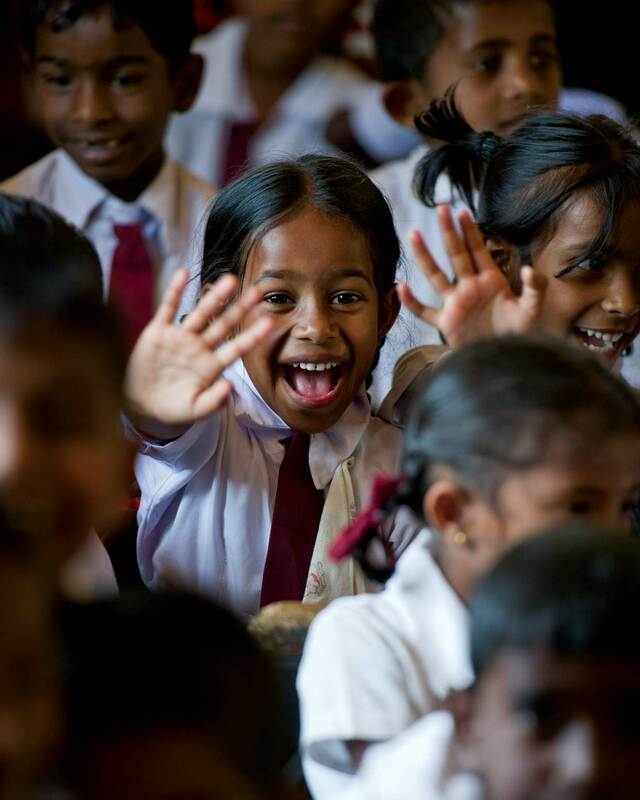 Education for young children in Dilmah plantations through the MJF Charitable Foundation. An initiative that support over 3500 plantation children every year. 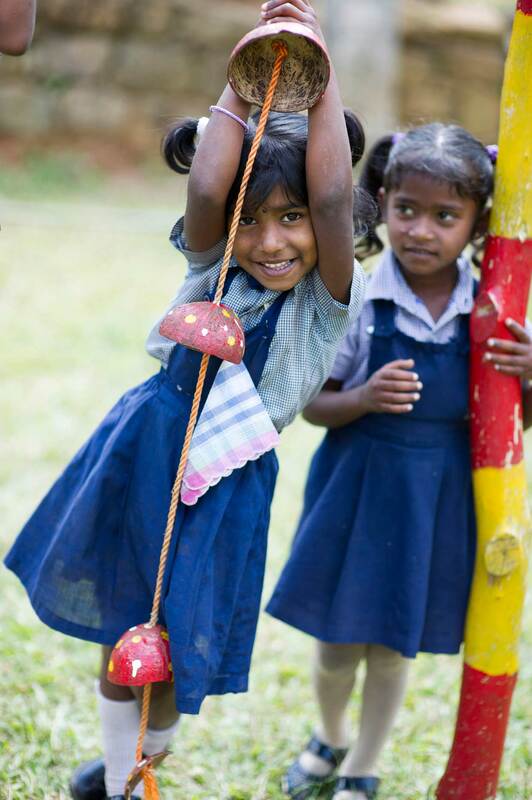 Young children play at one of the many Dilmah sponsored nurseries situated in Dilmah plantations. Education and crèche facilities for children under the age of 5 are provided free of charge by the MJF Charitable Foundation. A nursery & crèche managed by the MJF Charitable Foundation in one of the Dilmah plantations. Over 75 Child Development Centres have been established or renovated through the efforts of the Foundation. 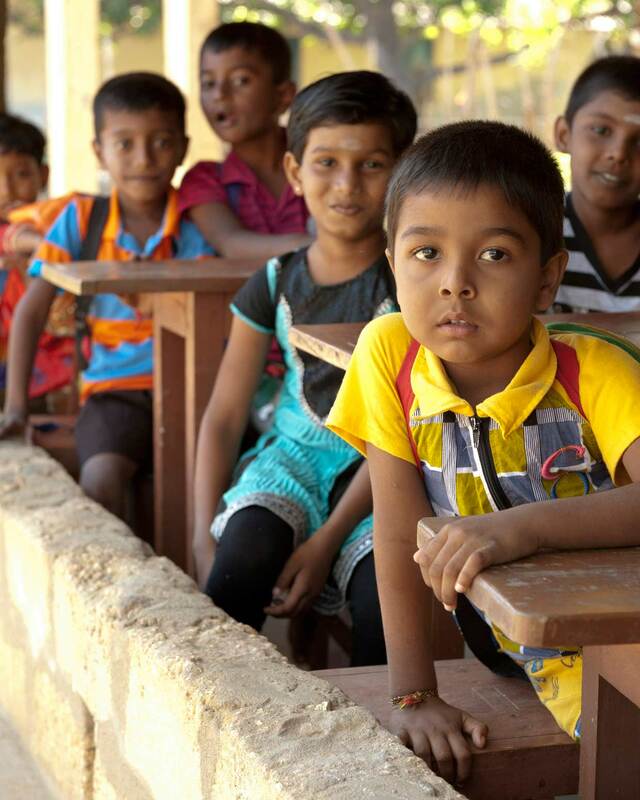 Improved educational facilities for children of Dilmah plantation workers is part of uplifting the standards of education in the plantations sector. Over 3500 students are recipients of the programme. Uplifting the standards of education in the plantation sector courtesy of the MJF Charitable Foundation. Students are provided with better facilities, support classes for various subjects and over 3500 students are now recipients. 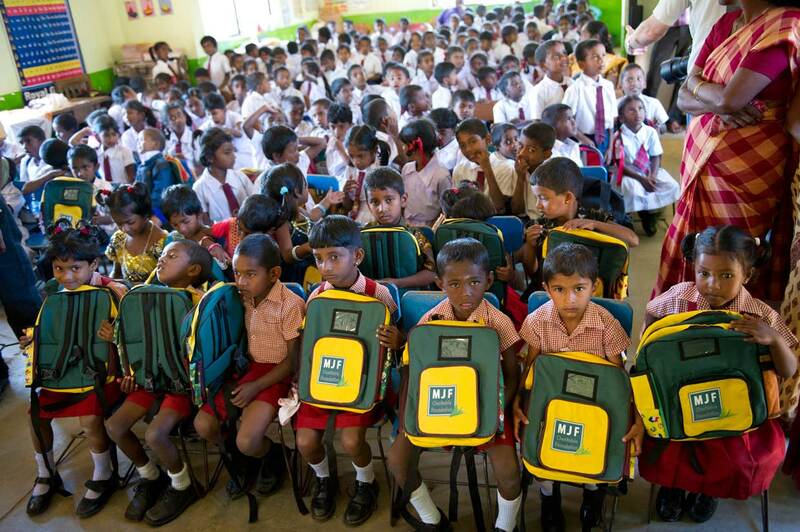 Every year, young children attending Dilmah sponsored nurseries in the plantations are provided with stationery and school bags for their new term. This is an ongoing effort of the MJF Charitable Foundation. 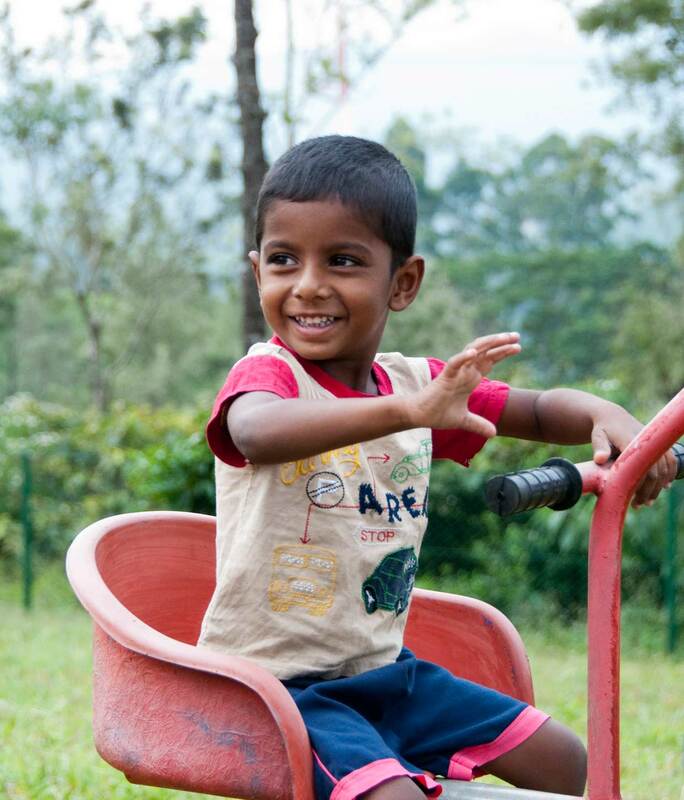 Preschool student playing at one of the Dilmah sponsored plantation Child Development Centres. 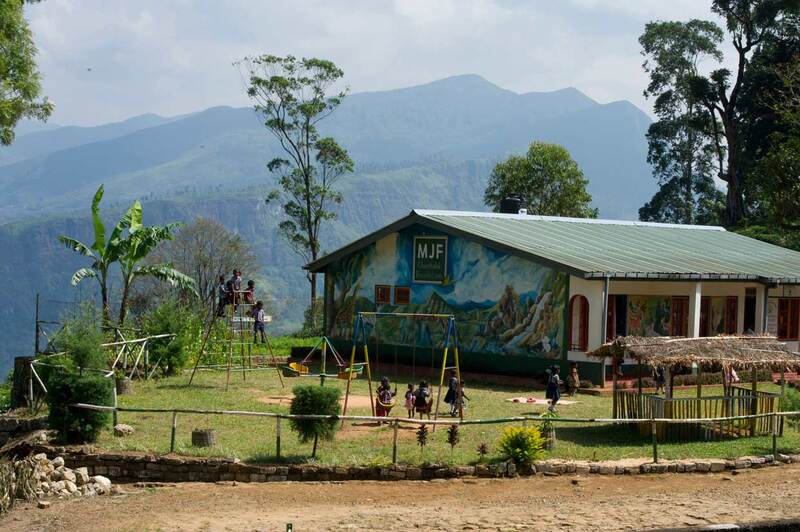 The MJF Charitable Foundation has built or renovated over 75 CDC’s in the plantations sector in order to provide care for children of plantation workers. 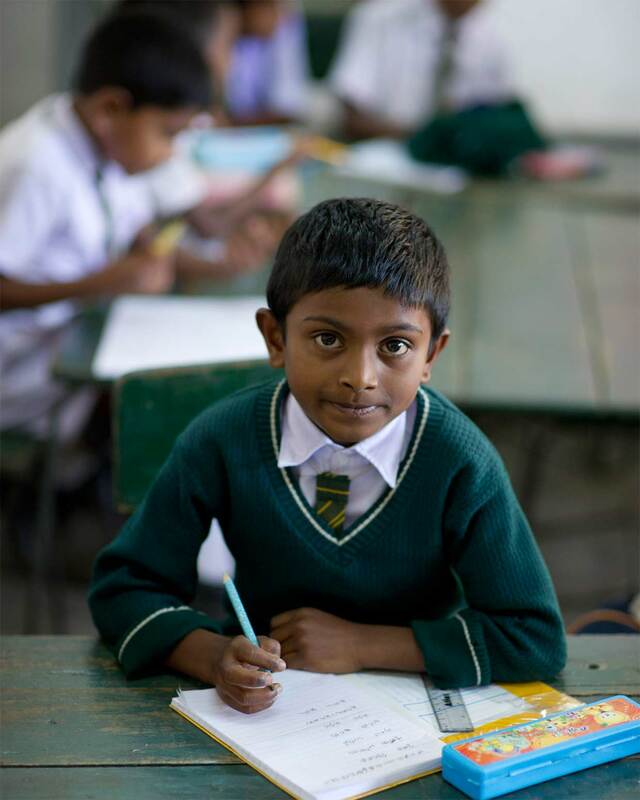 A young child at a Dilmah sponsored preschool. Enhanced educational facilities for children are Dilmah’s way of taking care of the next generation of the plantation community. Nurturing children on Dilmah plantations is a family effort for Merrill and his sons. With preschool students of the Somerset Estate Child Development Centre where children under the age of 5 receive daily care and nutrition. 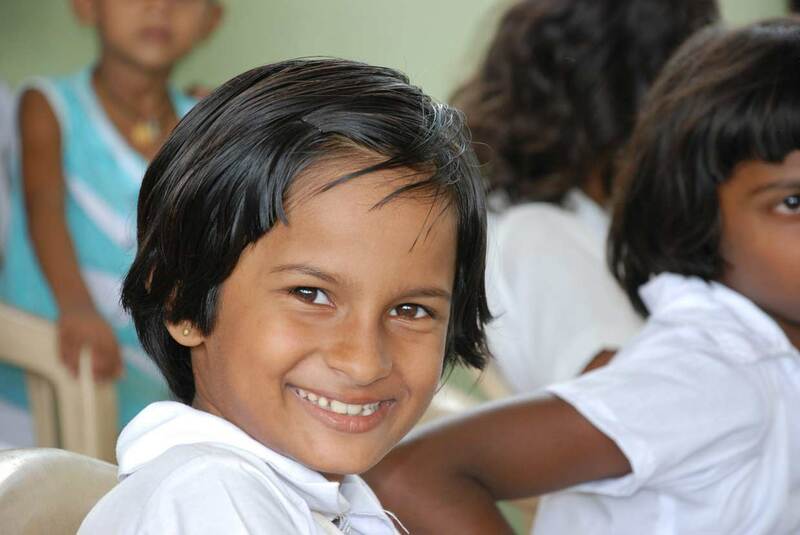 Working for the welfare of children is deeply rooted within Dilmah’s work ethics. 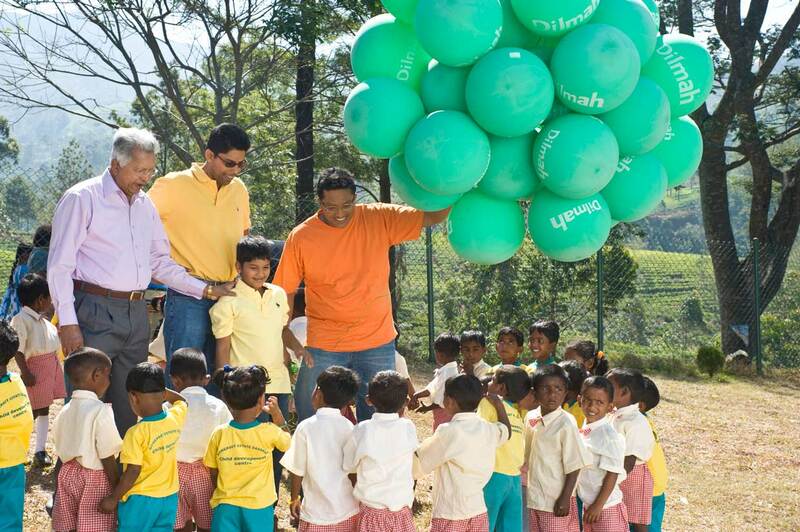 Dilhan, younger son of the Dilmah Founder with children at one of the plantation Child Development Centres. 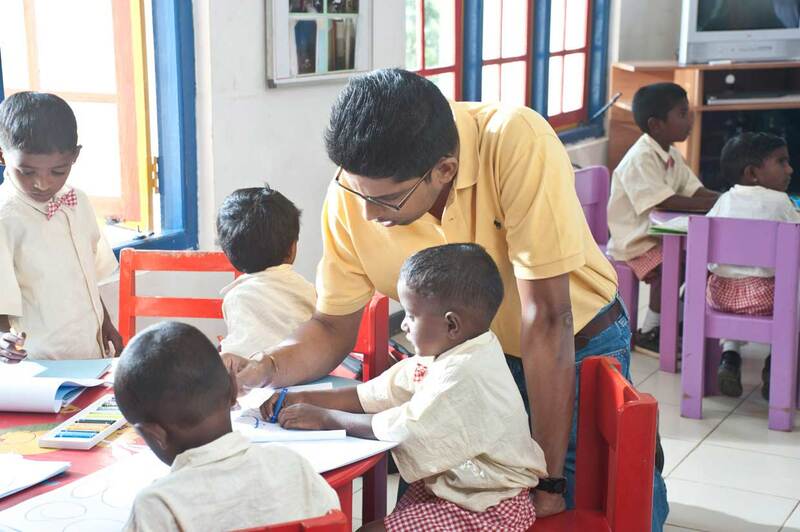 Providing preschool facilities for young children in the plantation sector is part of Dilmah’s commitment to making business a matter of human service! Malik, older son of the Dilmah Founder with children at one of the plantation Child Development Centres. 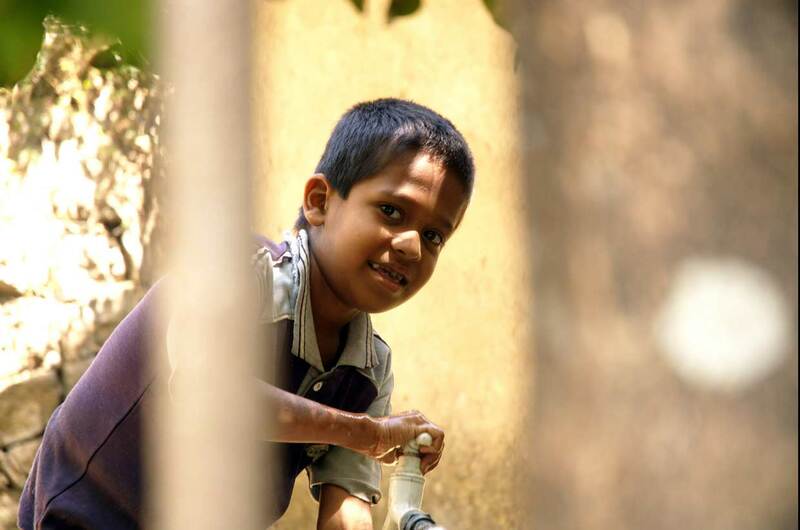 Water and sanitation facilities for children in the plantation sector. An effort of the MJF Charitable Foundation since 2009. 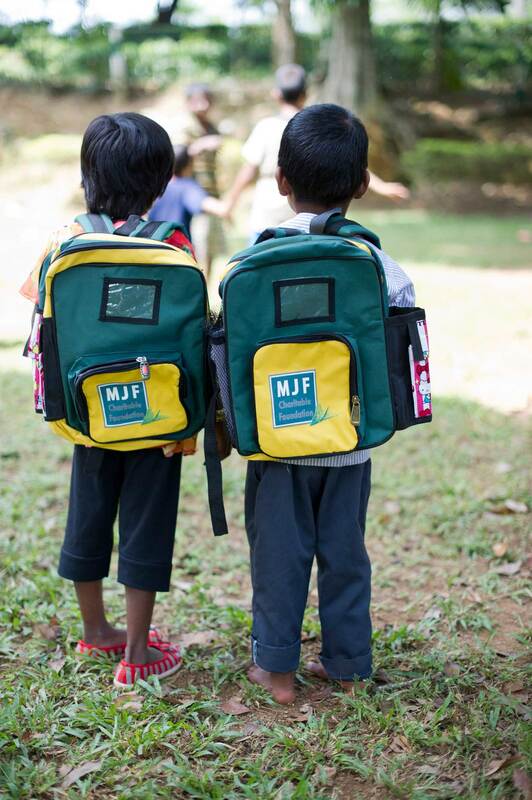 Preschool children attending a Child Development Centre in the plantations receive school bags for the New Year from the MJF Charitable Foundation. Each year, over 3000 children receive care and nutrition at plantation CDC’s.